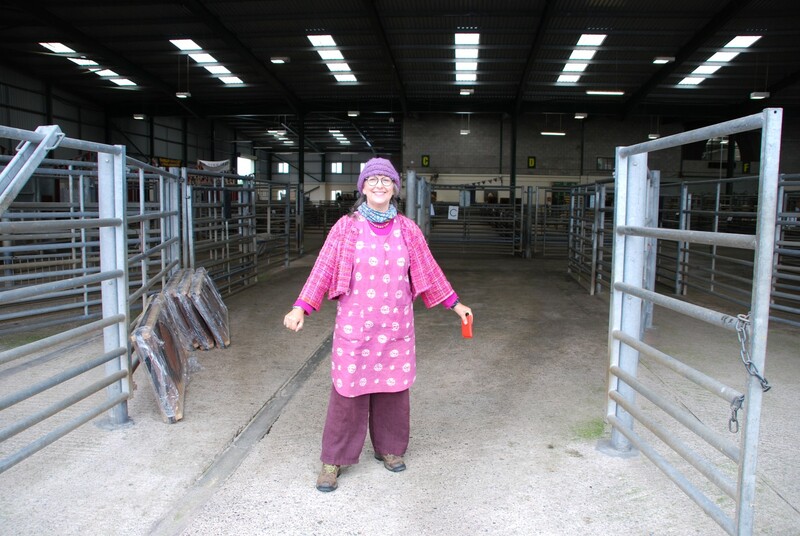 Some of you may not realise that this wonderful show with all its glorious goodies starts life as a very basic and draughty cattle market that is in full use for most of the week! Sometimes it has quite a rural pong! Then we start to unpack the car. How did it all fit in! 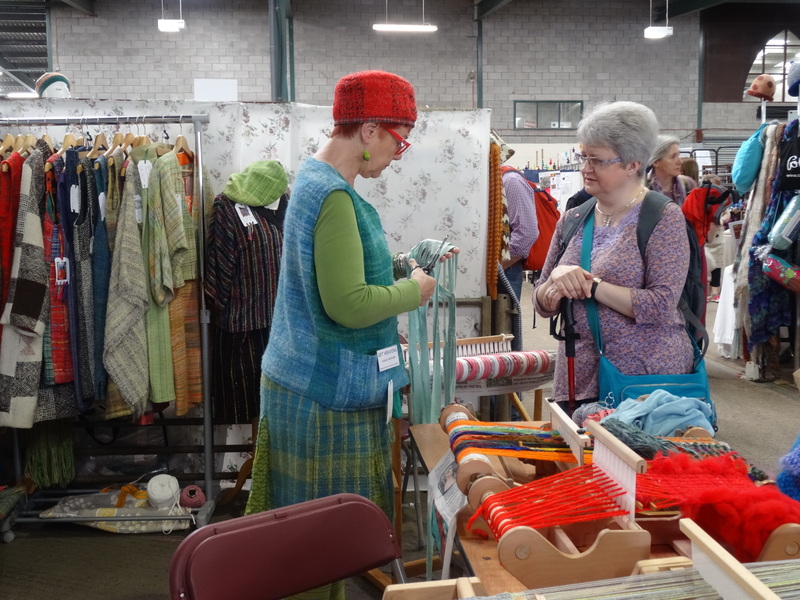 It’s wonderful to see the other stall holders around us, who do these shows all the time putting it all together so quickly. Then the show begins. 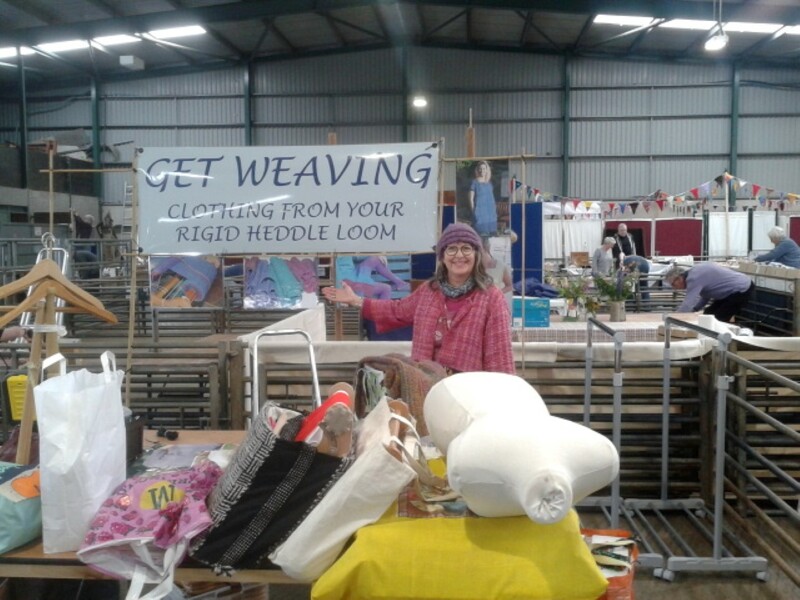 It was so very nice to meet so many enthusiastic and keen weavers and to talk to you all. 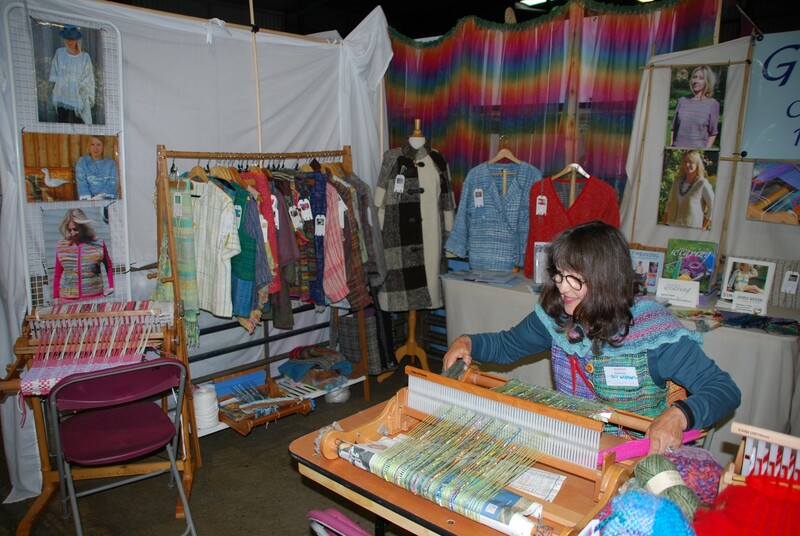 Here Sarah is demonstrating how to cut up T shirts to use for weaving on the rigid heddle. They make a lovely soft fabric. 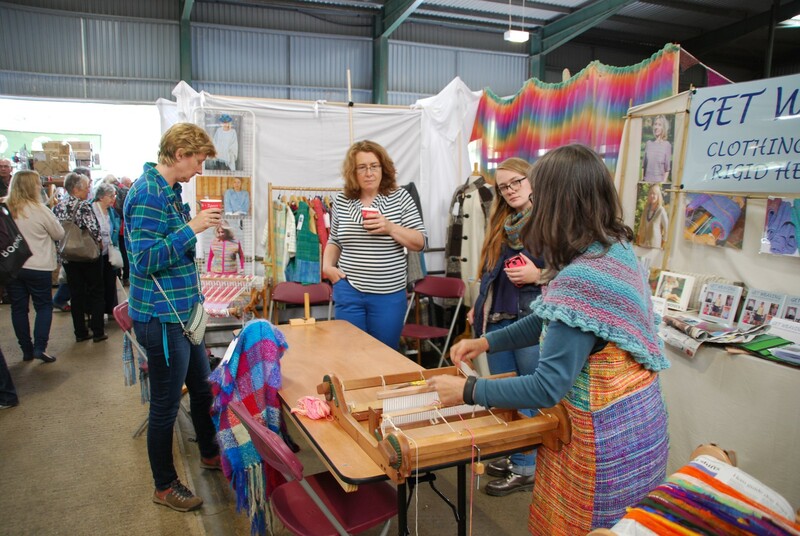 We also did several demonstrations over the two days of the quick threading method for people to see how easy it is to be threaded up and weaving within the hour. I think Sarah’s hand woven hats were a real eye catcher and certainly made us visible. 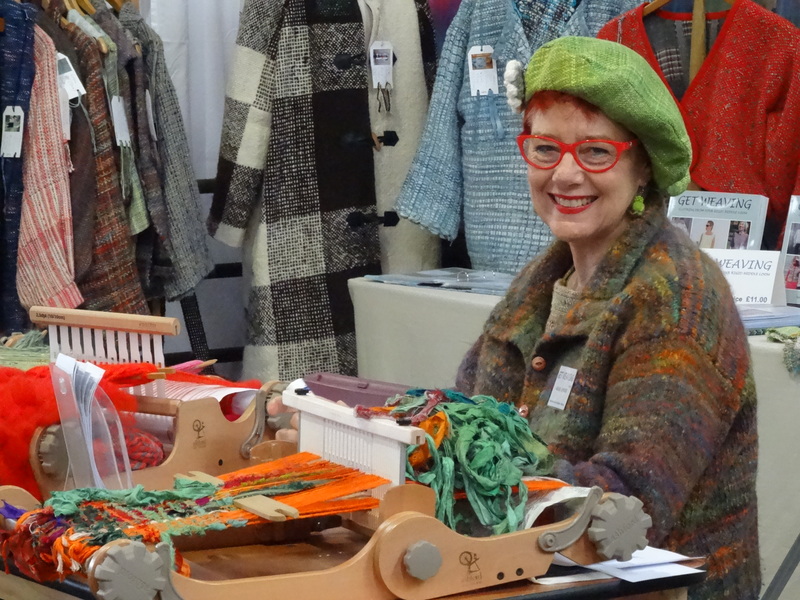 The sari silk, being woven here on the Ashford 12″ Knitters loom, using a Schacht variable reed was a huge success. We have asked David Herring to drop Ashford a hint about this wonderful reed as it is such fun to use. Here’s hoping that next year they will have one. At last! A moment at the end of the day to sit down and weave! Thank you to all the lovely people who came to talk to us and shared their ideas and thoughts and bought our book and a loom and went home and wove. We hope you will love it as much as we do. Happy weaving. Great colour work. I am always so impressed with what you do. glad you had fun!